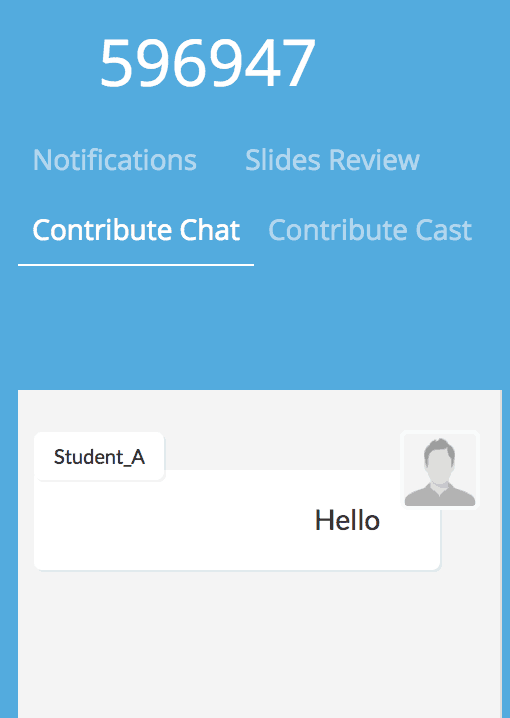 Contribute Cloud Chat is a simple an easy way to share information with all your students or participants in a session. 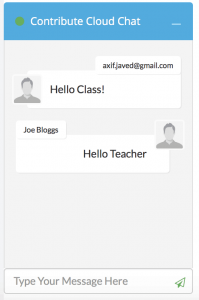 Unlike other chat applications, this is a group chat where you can share live links with students. If you click a link, it will open in a new window. Perfect for sharing a URL or a Shared Google Doc. To Access the chat window, click on the Chat Option in the Notifications Bar. To access this, you need to press the “Bell” icon in the top right of your screen. To minimise, click on theBell icon again and it will close the notifications bar..
Students can respond directly from their own machines in the session. The whole group sees the chat transcript.